After Paris and Vienna, Teatro Massimo is the third largest opera house in Europe (in terms of surface area), and the largest in Italy. Construction of the Giovanni Battista Basile neoclassical design started in 1875 and was completed in 1897 by his son Ernesto. When inside, it feels intimate and elegant. The acoustics are said to be some of the best in the world. For 23 years, from 1974 to 1997 the theater was closed for renovation–not because it actually took all of that time to perform the work; Unfortunately and to no one’s surprise, delays were caused by complicated politics and corruption. Today, opera lovers will enjoy taking guided tours of the interior of this Palermo jewel Tuesday to Sundays when you might catch a glimpse (and a few notes) of a ballet class or a rehearsal. The next opera season starts in September. 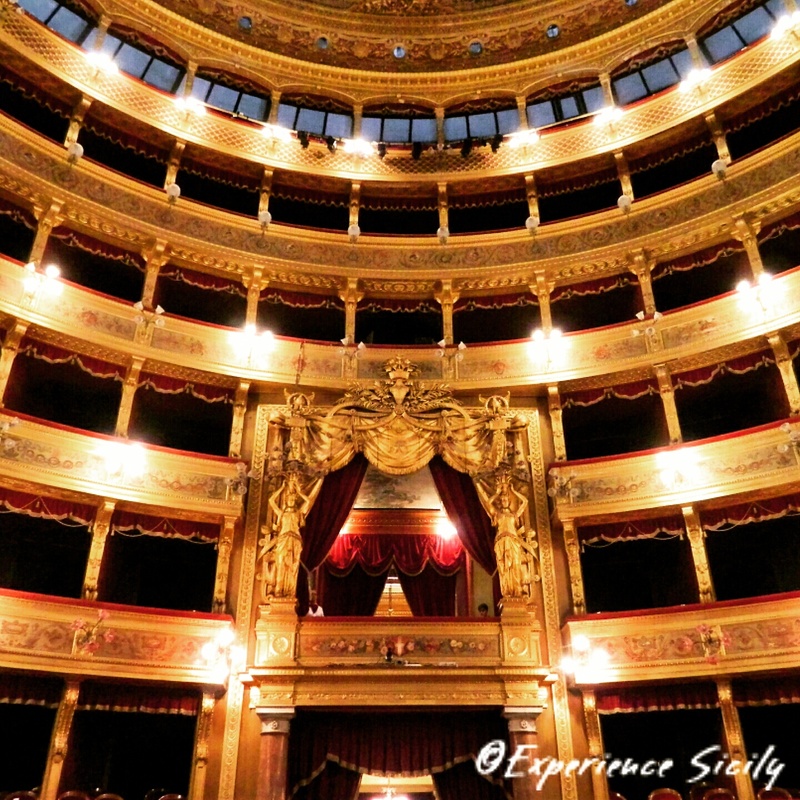 Incredibly beautiful, not only the theater but also the cafe’, the gift shop, and the square with the antique chioscos…A must see if you are in Palermo! Yes, and Piazza Verdi is a center of live music and locals gathering. It is a vibrant spot! That is absolutely gorgeous. And huge! It definitely got the right name! Since the acoustics promise to be so good, I’d go just for that. Wow! Glad they stuck it out through the politics and corruption – seems inherent in any big project.